FOR much of the past two years, market watchers have had little to write about, apart from the passing of one stock-index milestone after another. The events of the past week, however, have shaken the financial world awake. A recent, upward zag in bond yields seemed to signal the arrival of a new theme in market movements. Stock prices confirmed it, and then some. 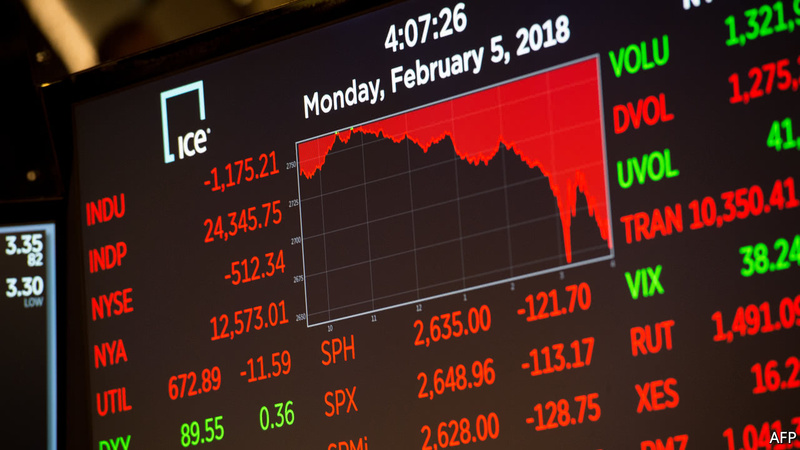 Over the past week, American stocks have dropped about 7%, punctuated by a breathtaking, record-setting plunge on Monday. The Dow Jones stock index recorded its largest ever one-day drop, of more than 1,000 points. In percentage terms the decline, of more than 4%, was the biggest since 2011.